Little picture, or detail, questions make up a significant amount of questions on the SAT Critical Reading sections. Of 4 post-2005 publicly available tests I surveyed, little picture questions accounted for 25% of all passage-based questions and 17% of all SAT Reading questions. This means that it is well worth your time in your SAT Reading prep to make sure you can consistently answer little picture questions accurately and in a reasonable amount of time (what that range is for accuracy and reasonableness will depend on the score you are aiming for). In this article, I’ll provide examples of the different ways the SAT will ask you to use little picture skills, explain the SAT Reading strategies you can use to help with these questions, and end with a walkthrough of a sample questions. First, however, I’ll explain what exactly I mean by “little picture” questions. Note: The advice in this article is still relevant for the new SAT (March 2016 and beyond), but some of the examples haven't been updated yet. 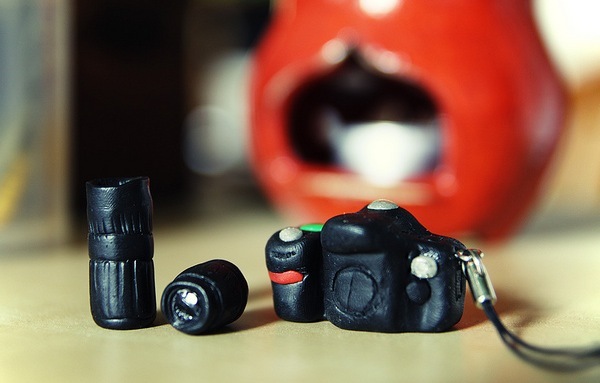 feature image credit: Miniature Fimo Nikon D80 by 55Laney69, used under CC BY 2.0/Cropped from original. Little picture questions are questions that ask you to find specific details from a passage. Moreover, you will not just be asked about details at random; SAT Reading questions asks you specifically about details that are vital to understanding the passage (even though you don’t necessarily have to read the whole passage to find these details). For example, you might be asked, based on information from the passage, what the milky blue that appears around the edges of older dogs’ eyes signifies (cataracts); you would NOT, however, be asked the color of the film (unless that had greater significance in the passage as a whole). By far, questions that give you a location and ask you to find the detail to answer the question are the most common type of little picture question (more than half). "These places have interesting frictions and incongruities, and often, if you stand at the point of tangency, you can see both sides better than if you were in the middle of either one." ...and paraphrase the information contained in those lines. Only after that should you look at the answer choices to see what matches. In this case, the correct answer is (E) You can learn more about two parties in conflict as an observer than as an involved participant. "I still blush at the fact that I went to graduate school to become a historian in order to contribute to the Black Struggle for social justice and yet met her request to write a history of Black women in Indiana with condescension." "I had never even thought about Black women as historical subjects with their own relations to a state’s history, and I thought her invitation and phone call extraordinarily intrusive." Since this sentence is an explanation of the previous sentence, you don't even need to know what "condescension" means to figure out why the author responded to Herd's request "with condescension;" instead, you can just paraphrase the explanatory sentence above to get the answer to the question: (E) viewed Herd’ s request as irrelevant and presumptuous. Of course, if you also don't know the word "presumptuous" (or other words in the answer choices), process of elimination may be your best bet (more on that in Strategies). “In lines 40-43 (“Moonless . . . Sun”), the narrator’s comment about the “arrangement” demonstrates a preference for"
The information needed to answer these questions is somewhere in the passage, maybe even narrowed down to a few paragraphs/generalization like “end of the passage,” but you aren't given specific lines. Because exact location information is not given, the wording of the questions is often even simpler than it is for questions for which you do have specific location information. Sometimes, the words in the question are taken directly from the text. At other times, just as for Type 1, a little paraphrasing is required. These questions can be tricky because there will always, ALWAYS be at least one answer choice that banks on you forgetting the "EXCEPT" and, instead, saying to yourself "Aha! The author makes use of this, so it's the right answer." Not that I have ever done this myself. No. Of course not. Which of the following can be found in both passages? III. Reference to possible sources of food for early Bostonians. Fortunately, this is one case where the question looks more obnoxious than it is. Why? Because you can use process of elimination to your advantage. Let's say you are able to immediately cross out statement II - the passage contains no information about an exact date when Boston was initially settled. That means that you can eliminate answer choices (B), (D), and (E) right away, and can focus your efforts on statement III (if it's true, then (C) must be the correct answer; if it's false, than (A) must be the correct answer). 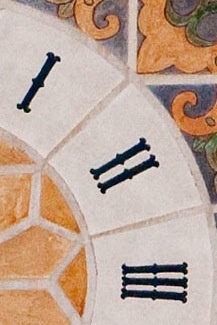 Clock Face by David~O, used under CC BY 2.0/Cropped from original. These are detail questions where you are given a word or phrase (in a specific line) and asked what it's referring to. In some ways, these questions require you to use skills similar to those you'd need for vocab in context questions, but unlike with vocab in context questions, the correct answer will be very specific to the passage. For example, if a little picture question asks about what the word “death” refers to, the answer choices won’t be “the absence of life, the cessation of movement, the end of a fad,” and so on (which would be possible answers if the question was something like "In line 42, the word "death" most nearly means"). Instead, answer choices to detail questions will be highly specific, like “the neglect of older cultural monuments.” These questions require taking another step because you don’t just have to go to the lines in question to find the detail – you have to figure out what that detail is referring to (which is not necessarily included in the cited lines). I've seen these words (where you have to find what they refer to) called "compression nouns" by Meltzer. Personally, I think of questions that ask you to find what a particular word or phrase refers to as very similar to Prounoun/Antecedent questions on the Writing section; like pronouns, these words refer back to other words/things. I've list the following strategies for answering little picture questions in no particular order, since the order you choose will depend on the way you read the passage. (2) Figure out where in the passage the detail being asked about is (if you aren’t given the exact lines outright) and read the relevant section slowly. How do you find the detail if you aren't given the exact lines outright? While sometimes the questions use the same language as the passage, and all you have to do is scan the passage for the words used in the question to get your answer, this is not always true. In these cases, your best bet is to turn to the answer choices and see if you can find those in the text instead (and then if you don't find an answer choice in the text, you can eliminate it!). Because searching for these details can take up way too much time, I would recommend starting with questions that include location information and then moving on to those that lack location information. (3) You can try to quickly answer the question in your own words as well, even though the answer choices are sometimes taken word-for-word from the text. Putting the answers in your own words helps prevent you from falling into “I recognized the phrasing so I’ll just choose it” trap (when in fact the SAT has sneakily reversed the meaning on you). (4) As always, process of elimination is hugely helpful with these questions – if the text directly contradicts an answer choice, you can cross it out with no worries. 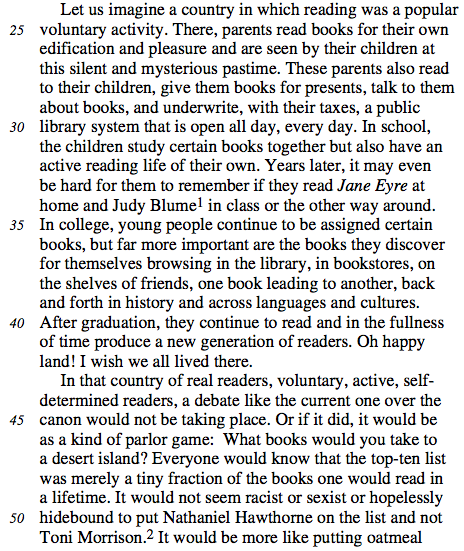 (5) I almost always do little picture questions first on each passage. For me, hunting for the details gets me acquainted with the passage without having to read the whole thing. Plus, detail questions are easy points because they often involve nothing more than finding what is stated in the text. The order you answer questions in, however, will depend on your reading strategy and what works best for you. If you tend to read the passage thoroughly first, I would recommend answering big picture questions before moving on to little picture questions. That way, you can answer questions about the whole passage before getting lost in the details. If you read the questions first, absolutely start with level one little picture questions (get them out of the way). Answering these questions can give you a better idea of the way the essay is laid out. 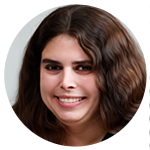 The only reason not to start with little picture questions would be if you are concerned it might disorient you and make it harder for you to answer other types of questions. If you skim, then answer questions, it could go either way. Skimming can help you form a mental map of where certain details are more likely to show up, which means answering detail questions first would be good...but answering detail questions first also might get you bogged down in detail too quickly and make it harder to answer big picture questions. Ultimately, you need to do some trial and error on your own to figure out which is most effective for you by using each method on multiple practice Reading questions (including SAT Reading sections as well as full length practice SATs). The strategy you get the most points with is the one to go with. To wrap up this article, I'm going to go through an example and apply strategies in my own order (you might find that using the strategies I mention above in a different order works best for you). "When I first came to Merced, I hoped that the culture of American medicine, about which I knew a little, and the culture of the Hmong, about which I knew nothing, would somehow illuminate each other if I could position myself between the two and manage not to get caught in the cross-fire." Step 1: What key info is being looked for in the question? Hmm...what was the author's “initial goal”? Initial = first, goal =…goal. So what was the first thing the author wanted to do? Well, I already found the passage (because the lines are given), but now it's time to read carefully (maybe looking for a word like “first” or “initial”). So the passage says that at first the author wanted to stand between the two cultures (American medicine and Hmong). Probably not literally. “hoped” that they “would somehow illuminate each other” = hoped that could learn from them? Probably? Bah. Let’s look at the answer choices. 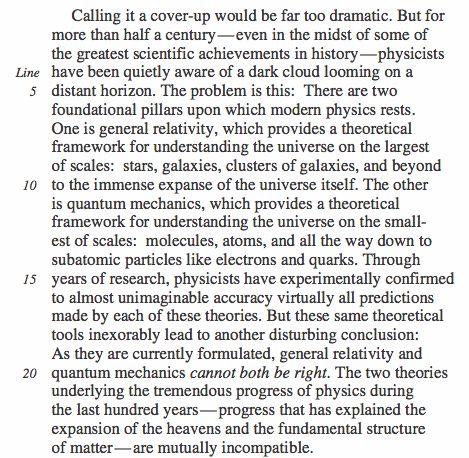 This seems like it could be right –the author definitely wants to consider two different perspectives. Not sure about the rest of the answer choice – might need more context than just the lines cited in the question. Uh, no, there’s nothing about being a counselor. Can double check context though. Seems like it could be possible, I guess. Except that the first thing the author hopes is that the cultures illuminate each other, not that the author can make a compromise. So maybe a compromise came later, but the illuminating came first. I mean, sort of? The relevant lines do say something about American medical culture. But nothing about how it serves patients. Nothing in the lines cited about promoting goodwill. Looks like I might need a little more context to answer the question. What about the line before the cited lines? What is “this”? Or “apposition?” Hmm let’s see what the line after the cross-fire line is, maybe that’ll be less work. I can always go back to the line before “This…culture” if I need to. Aha! “stopped analyzing” meaning that analyzing is what the author WAS doing. Let’s take a look at the answers again. Yes, author was doing analysis! I’ll double check the others to make sure I can eliminate them. Nope, even less supported now. ELIMINATE. Nope, compromise ≠ analysis. ELIMINATE. I mean, that’s part of the goal, but not the whole thing . Also why the “serves patients”? Not part of the point. The author just didn’t know about the American medical cultural in general. ELIMINATE. Nope, no reducing or promoting here! ELIMINATE! "...if you stand at the point of tangency, you can see both sides better than if you were in the middle of either one." Even more confirmation: you can see both sides better does not equal being a counselor, or creating a compromise, learning about how to serve patients, or promoting goodwill. Answer must be (A). Actually answering these questions on the SAT will probably not take nearly this long, because you won’t have to (nor should you) write out complete explanations for every reason to reject the answer like I just did. If you find you’re taking longer than 30-45 seconds on a question, circle it and come back to it later. 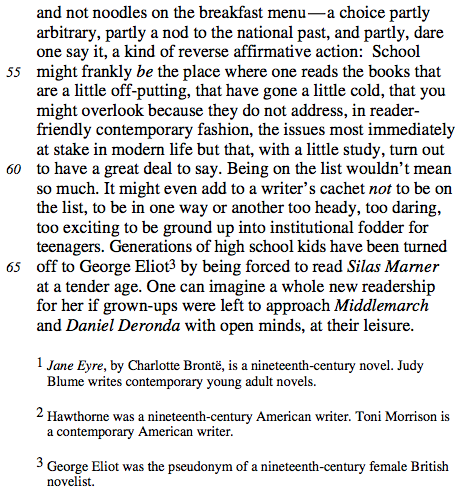 The following passage is from a 1991 essay that discusses the debate over which authors should be taught in English classes. The following passage is adapted from a book published in 1999. 5. Which pairing best represents the different models of the universe presented in lines 7-14? Find the key information in the question and/or put the question in your own words. Read the indicated part of the passage carefully, looking for context if necessary (especially if you’re being asked what a word or phrase refers to). Answer in your own words and find the answer that matches that answer. “Where can I find more official practice questions?” I hear you cry. Never fear – we have a complete guide to finding official SAT practice tests, including free links! Interested in more SAT Reading skills articles like this one? We’ve got articles on big picture, words in context, inference, and paired passage questions, or you can just go toour ultimate SAT Reading study guide to find a list of all of our Reading skills articles. Not sure how you’re supposed to finish the SAT Critical Reading section without running out of time? Learn about three different ways to read the passage on the SAT. Need structured help? Try our very own PrepScholar test prep platform.